James Herbert is a horror writer who hails from the U.K. He’s been compared to Steven King and, for the first time, his work is available stateside. The novel I read, ASH, is a reprint through Tor Books. Herbert is a multi-novelist with almost two dozen books out in the wild. (Sadly, the author does not have an official website, or I’d link to it for you so you could see his bibliography of published works.) This is the first time I’ve read Herbert’s work; this type of story is more my fare than a continual stream of blood, guts, and gore. ASH begins with a mystery and a haunted castle. The main character, David Ash, is a ghost hunter and parapsychologist who works for the Psychical Research Institute. His abilities give him an edge and we, the reader, find out more about them as the story progresses. New Tales of the Yellow Sign by Robin D. Laws is a collection of eight short stories that invokes and draws inspiration from The King in Yellow, the 1895 psychological horror collection of Robert W. Chambers. In writing New Tales, Laws undertakes what is, in my opinion, one of the most difficult projects for an author—writing a short story collection built around a core concept or a small number of central themes. The challenge in doing this is that whether readers are trying to or not, they tend to judge each short story on its own, instead of how it fits into the collection’s overarching concept and themes. In composition, I see a collection like New Tales to be akin to concept albums. Each has “core tracks” that advance the concept. Each may include “voice breaks” where the audience is addressed directly as a way to make the message more explicit to the audience. Each often contains a “cover song” or a selection that pays homage to a past artist that the overall work is drawing inspiration from. Ghouls of the Miskatonic by Graham McNeil was published a little over a year ago and marked the first foray into fiction publishing for powerhouse board game publisher Fantasy Flight Games. Ghouls takes place in Fantasy Flight’s Lovecraftian setting, Arkham Horror, and is the first book in The Dark Waters Trilogy (the second book in the trilogy Bones of the Yopasi has also been published). The plot of the novel follows a menagerie of characters trying to solve the mystery behind the disappearance and murder of a number of girls from Miskatonic University, as well as the character’s attempt to keep a grip on their sanity when faced with giant flying mantis creatures who think dress formal means wearing their brains on the outside. A Discovery of Witches is the first book in the All Souls Trilogy and was written by Deborah Harkness. The premise is centered upon Diana Bishop, a historian with a secret past, who stumbles upon an ancient text that is *also* a palimpset. After her accidental discovery of Ashmole 782, Diana’s life begins to change — and not necessarily for the better. What drew me to this story was the promise of mysteries and ancient texts. I immediately identified with Diana and her more rational side and, as the book’s secrets took a strange turn, felt even more drawn into the story. Nightglass is an anthropological study of two cultures and a great story. Both of the elements are nicely intertwined. The first half of the book follows the training of a boy named Isiem as a follower of Zon-Kuthon in Nidal. The second half is about his escape from this oppressive culture as a man and his living with the Strix around Devil’s Perch in western Cheliax. Sort of a lawful evil Harry Potter and then a flying Dances With Wolves. I picked up The Iron Wyrm Affair when I first learned about it to support the author. I had the chance to connect with the extraordinarily prolific Lilith Saintcrow on Twitter and, while I’ve never met her in person, I’ve always been inspired by the passion she has for her craft. I had no idea what to expect when I dove into this, but I had read some of her other books. I have a lot to say about this particular tome and its characters so I hope you enjoy the review. Prince Calgus found himself standing before a mirror, regarding his own face but seeing something alien; blood surrounded his mouth, his garments were torn and faded, stained with wine and food, his blond hair matted, and his hands coated in gore. A story’s first sentence is always an important one. Although this is not the first sentence of the novel when you take the prologue into account this is the moment readers meet Calgus, Prince of Sept. It is also the moment when you realize that Jon Creffield is going to take the classic tale of swords and sorcery and turn it on its head. Hell’s Door Open is equal parts fantasy and horror with healthy doses of great storytelling. I’m a fan of Carnacki. The somewhat stuffy British paranormal investigator, whose adventures were first cataloged more than a hundred years ago in Carnacki The Ghost Finder by his creator, author William Hope Hodgson, have fascinated me since I was urged to read them by a good friend. I was curious, therefore, when I discovered that another author, Scotsman William Meikle, had taken up the mantle of telling some new Carnacki tales in Carnacki: Heaven and Hell by Dark Regions Press. I tried to be objective going in, but my fondness for the character had me pretty excited to read some new adventures. This is the first Pathfinder novel that I have read, since getting into the world of Golarion as a DM and player I have wanted stories about it. Turns out there are quite a few available. This is my review of one of them. First of all I am going to tell you the things I liked the most, then a brief plot description and some final thoughts. One of the best things this book did was show that it is a Pathfinder story, not just a generic fantasy novel. Yes, the Pathfinder organization was briefly featured, but there was so much more than that to ground this book in the Inner Sea. The way the setting, peoples, places, culture, and even game mechanics was worked into the story really made it come alive. This was more than just mentioning nations and gods, going to Absalom, and using unique monsters. The culture of different areas was discussed, both while the characters were there and by the characters themselves, it felt like a living world that was straight out of the Inner Sea Campaign Setting. I believe this book is cursed, so I will begin with a brief history of my relationship with this book. It has brought me as much woe as enjoyment, thus I keep picking it back up. I first heard of this collection of ghastly mysteries several months ago and my fingers twitched with anticipation. I waited patiently, and was quite happy to see it appear on the shelves of my local game store. Soon it was purchased and in my hot little hands. I read through it in a day and a half, luckily my job at that moment afforded me a plethora of spare time, and was soon tapping out a review. At that point things went a bit sour. My desktop computer began to have issues. At first it would simply delete files, and if you were thinking that the files it deleted centered on this review.. then you were correct. After it deleted my work for a few weeks it started to truly die and before long I had a very large paper weight. A friend then sent me an old laptop, I was delighted and began catching up on the wonders of that exist on the internet. A couple months later I attempted to write, for about the fifth time, my review of Haunted. Carpathia, the newest novel by Matt Forbeck and Angry Robot Books, takes place during the momentous disaster that was the maiden voyage of the S.S. Titanic in 1912. Historically, the first ship to arrive to render aid was the Carpathia. Matt’s premise stems from this, and from the idea that there might be a reason why the Titanic survivors would NOT want to be rescued by that particular vessel. In a word: vampires. Teeth is an anthology of the things that go bump in the night, the ones that have the teeth and the claws to rip your eyes out. It’s a YA anthology, true, but the stories can appeal to adults as well. There wasn’t a story in Teeth that I didn’t like. There were only a few that I felt could have ended better, but other than that personal preference, I would say that each story is well-written, suspenseful, and has excellent pacing. These aren’t all your typical vamps – vampire-like creatures from various cultures grace the pages of this anthology. 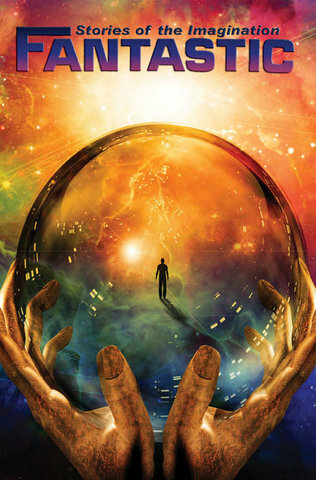 Fantasy as a genre is rife with rich worlds, dense descriptions, and complex cultures. As a reader (and a writer) I’ve always been fascinated with how other authors explore cultures within the context of the genre. Sometimes, a culture is revealed through a character’s actions or speech patterns; other times, through the way a particular town or setting is described. In my experiences, the majority of the books I’ve read keep diverse cultures at the background of the story instead of the forefront. Intellectually, I understand why this is. Often, there’s a lot of world to explore and, in the fantasies I’ve read, that means the story matches that as well. Still, I’ve often found my reading has been bereft of the richness of contemporary stories that were firmly rooted in “a” non-European culture in “this” genre. Is that a fault of the industry? No, it just means there’s been a gap in my library that this picky reader hasn’t been able to fill since I first read The Alchemist by Paulo Coelho many years ago. Perspective is the most powerful force at work in the universe. The angle, pitch and yaw of how things are viewed, how things are not seen, and how things are interpereted by the human heart and mind’s eye forges reality for an individual. Often times this reality, perceived by the individual, exists inimical to equidistant realities nurtured and sustained by other individuals-at-large. Driving Through the Desert presents such a singular and stalwart perspective. A universally hale perspective. 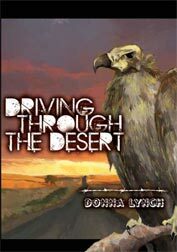 The reality of Driving Through the Desert as engineered and presented by the novella’s author, Donna Lynch, is shared – for the most part – by two individuals; Kam and Henry. A young woman, Celia, undergoes a procedure to have her mental self – memories, thoughts, and her “soul” – transferred to a mechanical replica of her physical self while her body is put in stasis until a cure for her rare condition can be found. Unfortunately, there’s a lot of controversy surrounding the issue of these bodies. And her wife, Rivka, a very religious woman, chooses to leave her at the most difficult time in her life. Pelland does an excellent job of weaving current political, religious and philosophical issues throughout the story without beating the writer over the head with the message(s). At the core, it is the story of Celia, a woman that must find her own way after the world has turned its back on her through no fault of her own. Fantastic Stories of the Imagination is Warren Lapine’s new anthology, taking an SF magazine sensibility into the anthology market. He brings 14 very diverse stories by a wide range of authors from great masters such as Mike Resnick and Harlan Elision to more recent discoveries (at least to me) Fans of the Liaden universe will be glad to see a Sharon Lee and Steve Miller story. The tales go from pure science fiction through to urban fantasy. There is no theme to the anthology though many of the stories deal with the intersection between man and machine and the question of where one leaves off. Most of the stories deal with ethical and moral issues characters face, about when to intervene in someone else’s life or situation. Love is encountered, succeeds, disappoints, fails and rises from the ashes as we learn to cope, to hold and to release.